Researchers from this programme, working at Utrecht University, have discovered that plastic crystals can be made with the help of rod-shaped particles. 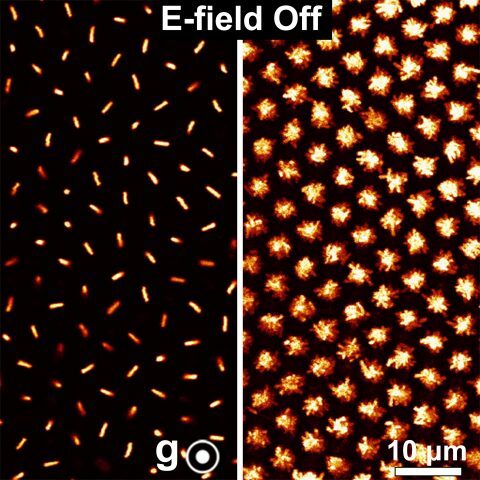 Plastic crystals are the 'little brothers' of the better-known liquid crystals. In plastic crystals the elongated particles are arranged in a regular three-dimensional lattice, just like in a solid. However the particles can also freely rotate just like in a liquid. That is because the particles are electrically charged as a result of which they repel each other. That creates just enough freedom of movement to be able to rotate. The outcome is an unusual aggregation state between liquid and solid. The substance is solid, but at the same time so motile that some plastic crystals collapse under their own weight. The research also led to the creation of a plastic glass phase. In this phase particles can still rotate but they are not arranged in a regular lattice. Nevertheless, the material still behaves like a solid. 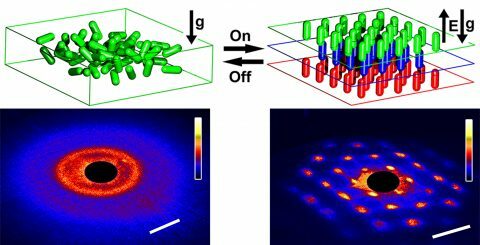 Researchers discovered it is possible to switch this phase on and off with the help of an electric field. The electric field first ensures that all of the free rotations disappear. Furthermore, this unexpectedly led to the rods arranging themselves in a regular 3D lattice as well. 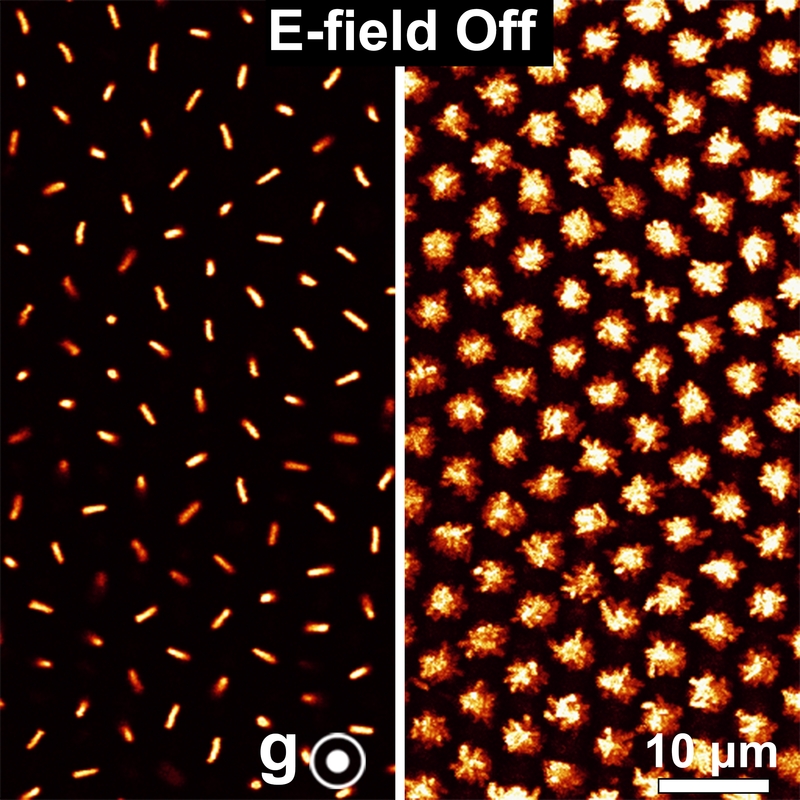 The process is reversible: as soon as electric field disappears plastic glass phase returns. This work was published in Nature Communications. It could lead to applications in the area of electronic screens (electronic ink), but the new phase is also providing new insights into the role of rotations during crystallisation or the glass transition. In these images g indicates the direction of gravity (in the first two images the gravity points forwards, out of the image). E indicates the direction of the electric field. 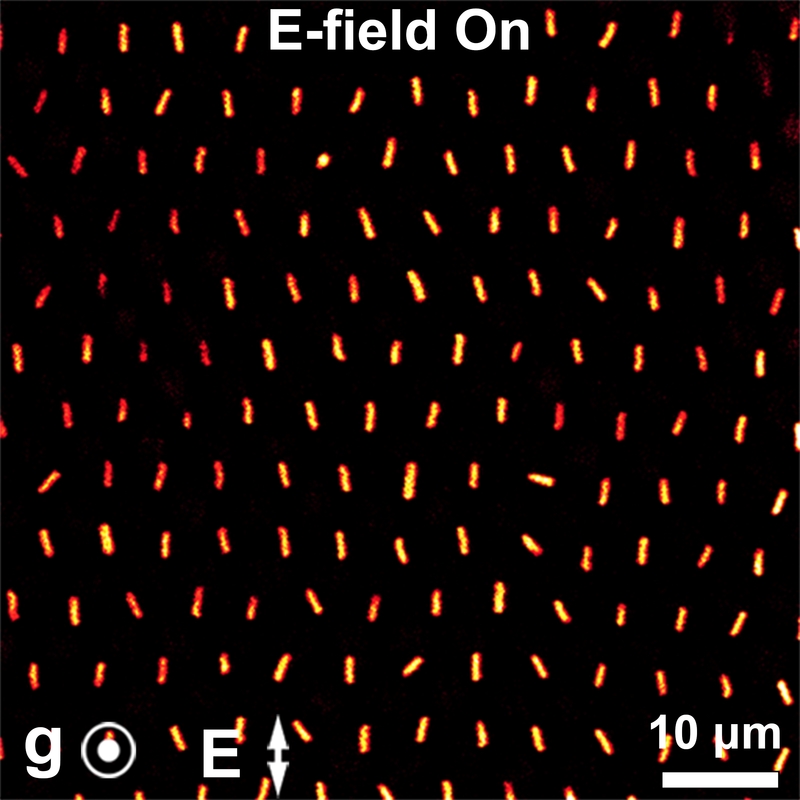 A two-dimensional confocal microscope image of a three-dimensional plastic crystal. Left a snapshot of the particles can be seen. The right-hand image is averaged over a longer period of time. From this it can be seen that the particles are positions in a 3D lattice while the rods are still free to rotate. The rods stop rotating if an external electric field is applied. The matter forms a three-dimensional crystal. Left: The light diffraction pattern of plastic glass. Right: the pattern of the crystal that forms after the application of an electric field. Above the diffraction patterns, a schematic representation of the rods is given.